Beauty innovation: Multi-faceted anti-aging facial oil made from 99% pure, sustainable Marula Oil from East Africa and 1% pure essential oil blend. Fair Trade and Sustainable: It actually supports rural families in East Africa who produce it using sustainable harvesting practices. Marula Oil contains higher levels of Oleic, Palmitic and Stearic fatty acids critical for rapid skin absorbency, skin hydration and moisture retention. It traps moisture and provides prolonged hydration and penetrates quickly with no greasy residue. 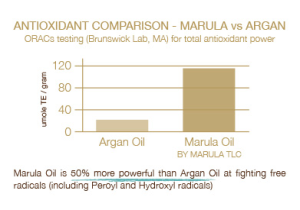 Marula Oil also contains high levels of important antioxidants including, tocopherol (vitamin E), tochotrienol, phenolic compounds and flavinoids. 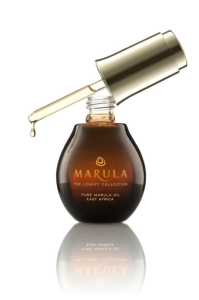 Marula Oil can improve skin hygiene by reducing skin surface bacteria.